I have to admit that we are a bit particular about power tools, because we use them often for major automotive and home renovation tasks. In our minds, quality tools are worth the investment because they need to perform at high levels on a regular basis. It's no fun when your tools give out in the middle of a project! 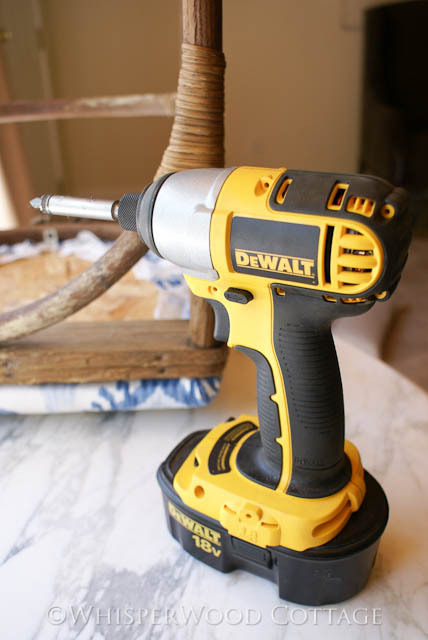 Anyone else a fan of DeWalt tools? Or do you have other tools you prefer? Do tell! I love tools! I'd rather have tools for a gift instead of jewelry! Congratulations on your new toy! Anything to make life a little easier. I don't have a favorite power tool but I do love my tools... staple gun, hammer, paint brushes and paint. I agree with Time Worn Interiors and always ask for a gift card to a local hardware store. I love DeWalt Tools. I have their air compressor and several nail guns. They make me very happy. My favorite tool is Cat Daddy...although he's a DeWalt man too. Riddle me this...is torque anything like a spork? We have that exact one and it is A.MAZ.ING. Love Dewalt. My husband got me a router for Christmas last year, and this year I'm shooting for a new compressor with a pneumatic stapler! Thanks for sharing!